Tuesday will be a big day for the fiercely divided British House of Commons, as the UK barrels towards a March 29 no-deal divorce from the EU, with British lawmakers mounting several campaigns to wrest control of Brexit away from Conservative Prime Minister Theresa May. May will be returning to the Commons to lead debates on the next steps in the Brexit process, but opposition leaders and backbench MPs from her own party have tabled several amendments in an effort change the government’s direction. The main issue, crucial to the divorce agreement’s approval, is the Irish border. Fearing a backstop provision would force the UK to remain in a customs union with the EU indefinitely, pro-Brexit lawmakers submitted an amendment committing support for May’s deal if an “alternative agreement” is reached on the border issue. Conservative MP Graham Brady tabled the amendment in an effort to shore up support in the party. 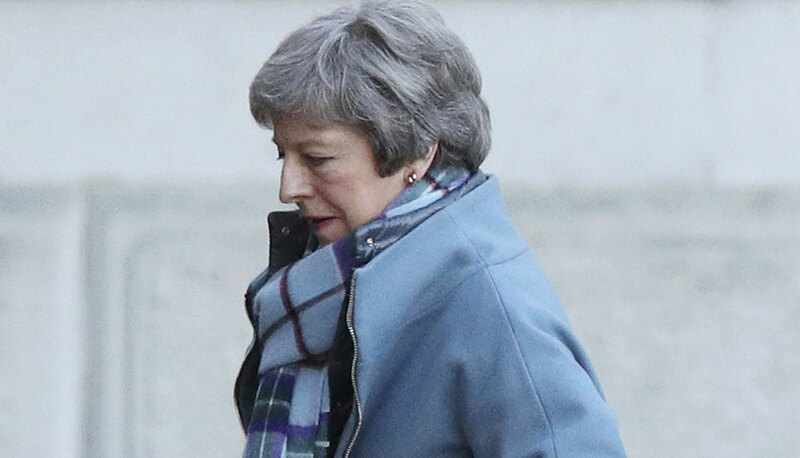 Faced with growing pressure from all sides, May says she wants a deal, and insists her agreement can win backing, if it is tweaked to alleviate concerns about the backstop provision. Of course, EU leaders and the Republic of Ireland maintain they will not change the legally binding withdrawal agreement. In all, there are more than a dozen amendments, including Brady’s backstop proposal. Speaker of the House of Commons John Bercow will announce Tuesday which have been selected for debate and vote. 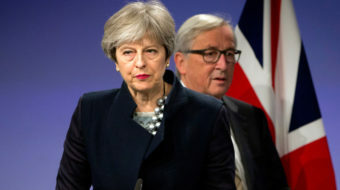 The vote on May’s “Plan B” and the amendments would not be a redo of the Jan. 15 vote on whether to approve the divorce agreement originally negotiated with the EU, but rather a way to find a winning strategy to renegotiate the deal and secure further concessions from the EU. It’s expected Labour Party MPs will move forward with triggering another vote of no confidence in May’s government, if they have the number of winning votes. The deadline to approve a new deal is February 26. Labour Party leadership’s amendment: Would prevent a “no deal” withdrawal and allow MPs to consider and vote on: an alternative Brexit deal (Labour’s plan) and holding a public vote. Labour MP Creasy’s amendment: Postpone the exit deadline for an unspecified time period and call for a Citizens Assembly to decide on Brexit’s next steps. Labour MP Cooper’s amendment: Rule out a “no deal” exit by forcing the PM to seek an extension to the withdrawal timeline until December 31, if a Brexit deal is not approved by February 26. Labour MP Benn’s amendment: Hold a series of non-binding “indicative votes” on several Brexit options to see which has the most support and move forward based on the results. Liberal Democratic Party’s amendment: Rule out a “no deal” exit and prepare for a second referendum. Conservative MP Greive’s amendment: Parliament would get control and allow for six days of debate before the official Brexit day on alternatives to the PM’s plan, allowing time for MPs to reach consensus on the best way forward.